When you have spent countless hours and a lot of money designing a data center, the last thing you want is to have a problem and lose precious data without a proper backup system in place. The loss of this data could take enormous amounts of time to recover and you may never fully recover all of it. It would be an incredibly expensive mistake! There are many things to consider such as how to backup your data, how often to backup your data, do you have enough space to backup your data, and more. By choosing to implement an effective backup system for your data, you can save yourself a big headache, hours of time, and incalculable amounts of money. Whatever system you choose to implement, it is imperative that you periodically check your backup system to ensure that it is working correctly and that you can in fact, access the data, should a problem occur. Having a peace of mind that you have a well functioning backup strategy in place for your data is invaluable. Backup for a data center is not as much about the product or software you use, as much as the process and strategy you implement. One way in which you can properly protect your data center is to implement redundant, duplicate or multiple different forms of backup. Do not pull all of your eggs in one basket, so to say. Relying on one backup system could be detrimental. You should also plan the frequency with which you backup around your business needs. As with any system you put in place for your business or data center, you should put your backup strategy in writing. When you have your strategy in writing, if a problem occurs, anyone who is authorized will know exactly what to do and everyone will be on the same page. Update your written strategy as any changes or adjustments to the plan occur. Write your strategy in easy to understand ways so that there will be no confusion should the need for recovery be rushed or should the data center be in crisis mode. Along with having a written backup strategy, you should make sure you have properly trained everyone as to their role in the data recovery process. The last thing you need when trying to recover your important data is to have people scrambling and confused. There are many different specific ways to backup your data such as disk, cloud based, online, tape, and more. You can choose specific types of backup based on your data center needs. The important thing is that you consult a professional that can help determine your needs and the appropriate way to backup your data. With the recent superstorm Sandy affecting many businesses and data centers, it is an important reminder of how crucial backup is. According to Buzz, “With 90% of people not backing up data, this means much of that data is gone forever. For businesses, some will shut down due to this loss of data.” 93% of companies that lost their data center for 10 days or more went bankrupt within a year, according to the National Archives and Records Administration. Data loss is often incredibly personal, but it also has a tremendous economic impact. We cannot predict what tomorrow will bring, but, with proper backup strategies in place, we can protect our business. 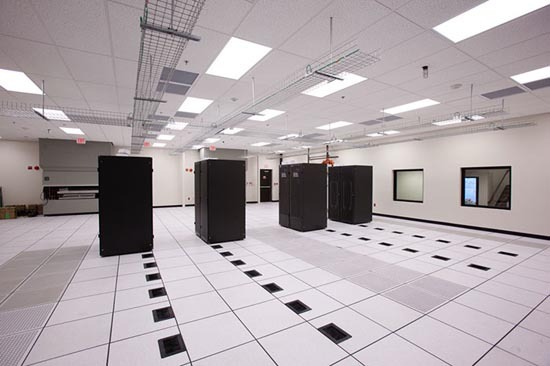 This entry was posted in Back-up Power Industry, Data Center Design, data center equipment, Titan Power, Uninterruptible Power Supply and tagged Data Center, data center design, data center equipment, Titan Power, Uninterruptible Power Supply. Bookmark the permalink.